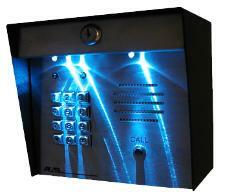 powder coated enclosure and stainless steel faceplate and is designed to be either post or surface mounted. open without a guest being present at the gate. 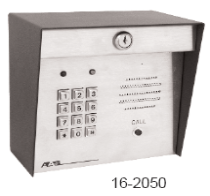 programmable 500 code keypad is provided. telephone line without creating an addition to the phone bill.